The Arctic contains vast amounts of mercury trapped in permafrost. As temperatures rise, the mercury is being released damaging the apex predators of the region. A paper in Geophysical Research Letters warns us the scale of the problem could be staggering. Greenhouse gasses are inducing faster warming in the Arctic than elsewhere, melting vast quantities of permafrost, both on the tundra and the seabed. The great defrost is releasing whatever has been stored in the ice. So far most attention has focused on the great debate as to whether the abundant methane released will reach the atmosphere, accelerating warming still further, but there is more to worry about. There is an average of 43 nanograms of mercury per gram of soil at 13 sites across northern Alaska, a team led by Dr Paul Schuster of the US Geological Survey, found using soil cores. This is one 600,000th of the carbon people are justifiably worried about. Unfortunately, mercury is dangerous in far smaller quantities than carbon dioxide or even methane. Extrapolating based on what we know of soils in the rest of the Arctic, the authors estimate there are almost 800,000 tonnes (900,000 tons) of mercury frozen in the permafrost (plus or minus more than half that). A similar amount is held in non-permafrost soils in the same regions. This is much higher than previous estimates and is “more than twice as much mercury as the rest of all soils, the atmosphere and ocean combined.” The figure is so high because mercury deposited at these latitudes gets stored there for an estimated 14,000 years, while in other locations it is rapidly recycled. Studies over the last decade have revealed that some of this mercury is being released as permafrost thaws, and the Arctic Ocean is feeding mercury into the Atlantic and Pacific, but calculating the scale of the problem is a different matter. The situation is complicated by the fact that forest fires also release mercury, and reactions with ozone accelerate deposition during periods of high atmospheric mixing. 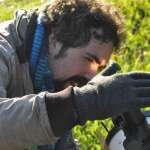 Nevertheless, the consistency of their measurements across permafrost regions has made Schuster and co-authors confident they're in the right ballpark on the quantities waiting to be released. 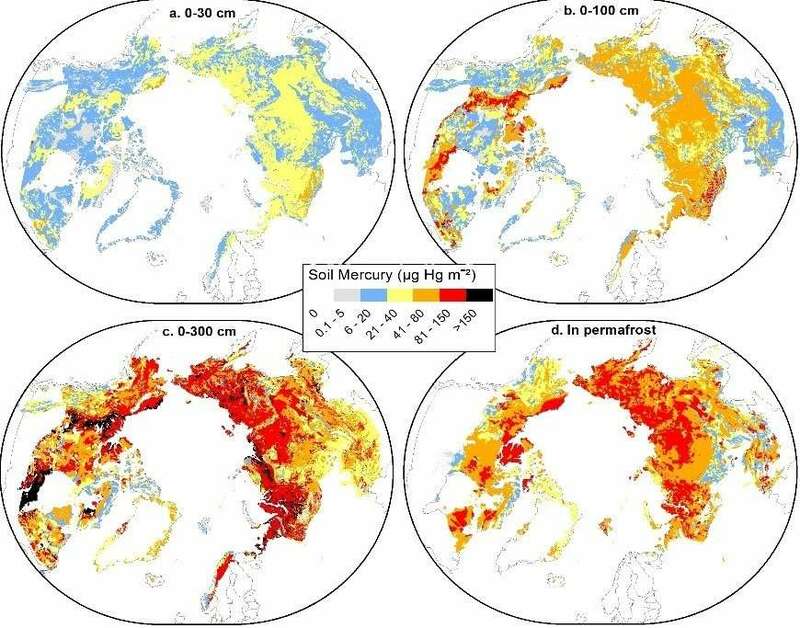 How fast this mercury will escape into the wider biosphere depends on how quickly the permafrost melts, which in turn depends primarily on the actions we take to address emissions of greenhouse gasses. The paper says the release of much of this mercury over the next century – which will occur if emissions are not curtailed – will have “unknown consequences to the environment.” However, mercury bioaccumulates in the food chain, and can destroy the minds of animals, including humans, so it's unlikely those consequences will be good.